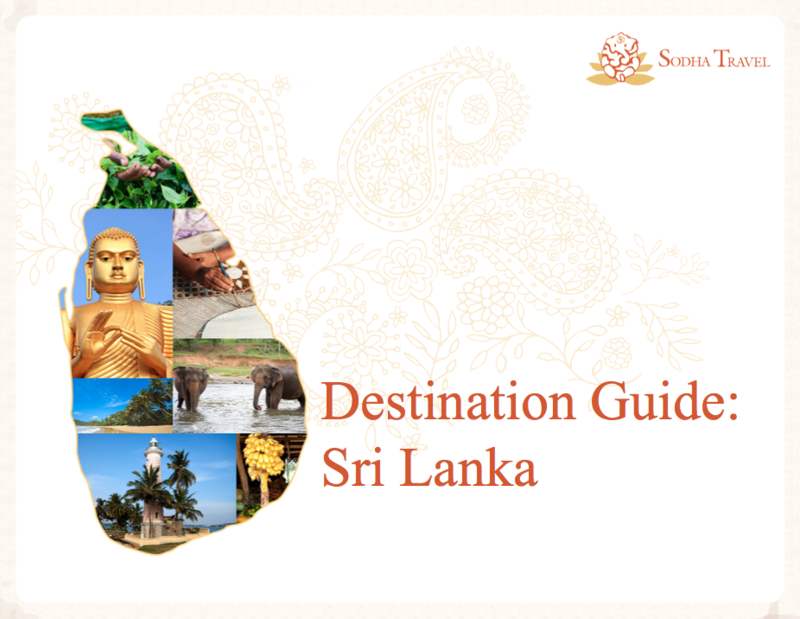 Download Sodha Travel's Sri Lanka Destination Guide and Start Planning Your Travel Adventure! 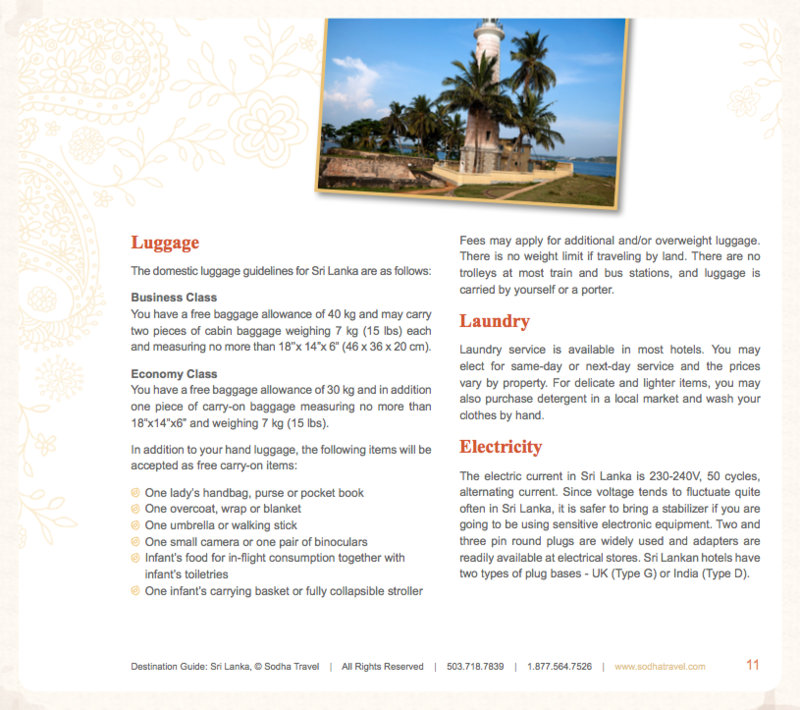 Sodha Travel’s Sri Lanka Destination Guide highlights Sri Lankan customs and travel propriety. You will receive comprehensive information that includes the visa process, vaccinations, currency exchange, communication, local transportation, and social etiquette. The guide also answers some cultural conundrums: What is so special about the currency? And what is one conversation that will always spark a friendship with a local? To receive the Sri Lanka Destination Guide, please fill out the form on the right. Your guide will be sent to the email address you provide and available for immediate download. Yes, I'd Like to Learn More About Traveling to Sri Lanka!